A stunning Grade II listed building which blends Victorian splendour with stylish urban interiors and fine dining in one of the most central and sophisticated hotels Leicester has to offer. When looking for hotels in Leicester, few can match Mercure Leicester The Grand Hotel for sheer style, comfort, impressive architecture and its incredible city centre location just minutes from the train station and the regenerated Cultural Quarter. From Bed & Breakfast in the 1930’s to the best boutique hotel in Leicester. We are part of our cities bright and brilliant future with fabulous food and drink menus and individually designed bedrooms. 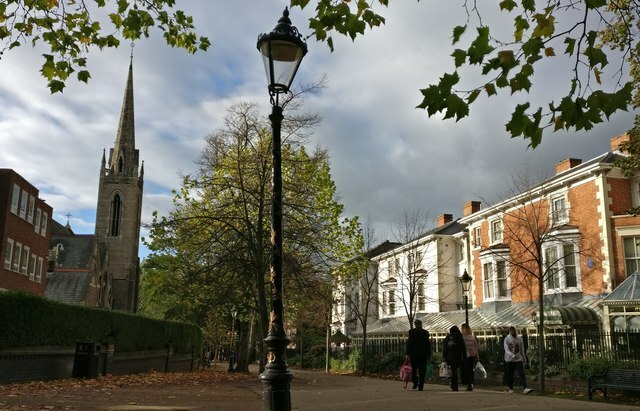 Situated on the picturesque and historically famous New Walk, we are just a few minutes’ walk from Leicester city centre train station, universities, concert hall and brilliant shopping and entertainment. Experience the best of Leicester, in the city centre.